Bob's Blog: Yeah, we went there in 1968! Yeah, we went there in 1968! Did you know that many young people do not believe America ever went to the moon? 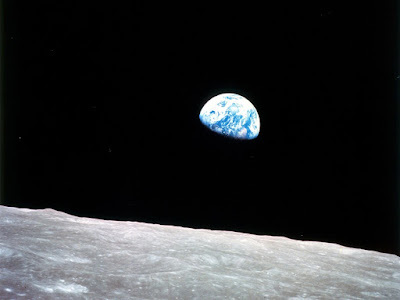 Here is a photo taken of the Earth in 1968 by Astronaut Buzz Aldrin as the astronauts flew around the moon.